"Herberger offers discount tickets to broadway shows." Illustration published on Thursday, Sept. 6, 2018. Spend a night on the streets of Paris or hang out with Wednesday Addams this year as Broadway shows come to the Herberger Theater in downtown Phoenix. For any student with a valid ID, a discounted ticket awaits at the box office. Herberger Theater is offering a 50 percent discount to students attending any of the three Arizona Broadway Theater shows this year: Sweeney Todd from Sept. 4-16, An American in Paris from March 8-24 and The Addams Family from July 12-28. “The arts are a crucial point in downtown, and for students who are moving here from other cities who may not have such a big art culture, it's a great place for them to embrace this culture," he said. While ASU downtown Phoenix students are closest to the action, Mettes said all college students and high schoolers are invited to use the discount as well. Sales are limited to one ticket per ID, and students must show a valid ID when purchasing the ticket. Lucas Cullum, the box office services manager at Herberger Theater, said students can go to as many shows as they want with the discount. He said the discount isn't good for every seat in the house, but only the most expensive section in the theater is excluded from the discount. While the Herberger Theater hosts many companies that put on shows and offer student discounts, Cullum said the Arizona Broadway Theater is newer to Herberger and this is the first time they will offer discounted pricing for students at the theater. "There's been a lot of interest in schools attending these productions, and in the past, we've done school shows," Cullum said. However, the content of most shows isn't always school appropriate, he said, so the discount is a great way to let students experience the shows outside of a school setting. Jacob Dunn, a freshman studying theater production, said discounts like the one Herberger offers are important because theater is a shrinking art form. Dunn said the experience of watching a story play out on stage is one that shouldn’t be taken for granted and one that’s worth having. To people who will attend their first play using this student discount, Dunn advised that they remain open to the experience. While it can seem odd at first because of the intimacy of watching a play over a movie, he said, the audience must embrace it. "Just watch it, enjoy it, take it for what it is," Dunn added. 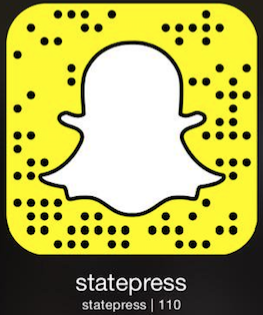 Reach the reporter at japere38@asu.edu and rzayande@asu.edu or follow @jsphprzz and @rana_roudi on Twitter.